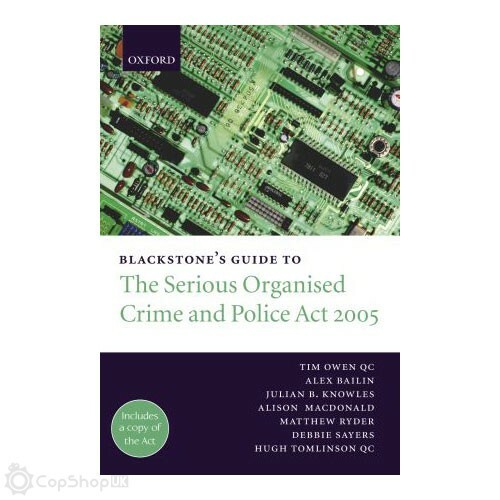 The Serious Organised Crime and Police Act 2005 brings about a radical shake-up of the organisations and powers to fight major crime - most notably by creating the Serious Organised Crime Agency (SOCA). SOCA brings together the National Crime Squad, the National Criminal Intelligence Service, and parts of the customs and immigration authorities; it will have approximately 5,000 civilian staff with powers to arrest and carry out their own investigations. The Act also overhauls the powers of the police officers contained in the Police and Criminal Evidence Act 1984 - in particular by introducing new 'supergrass' provisions dealing with the use of informant evidence. The Act introduces new public order offences in relation to harassment and protest. Primary market: solicitors and barristers working in the following areas; criminal law; police law; civil liberties (particularly in actions against the police). Secondary market; law enforcement agencies.